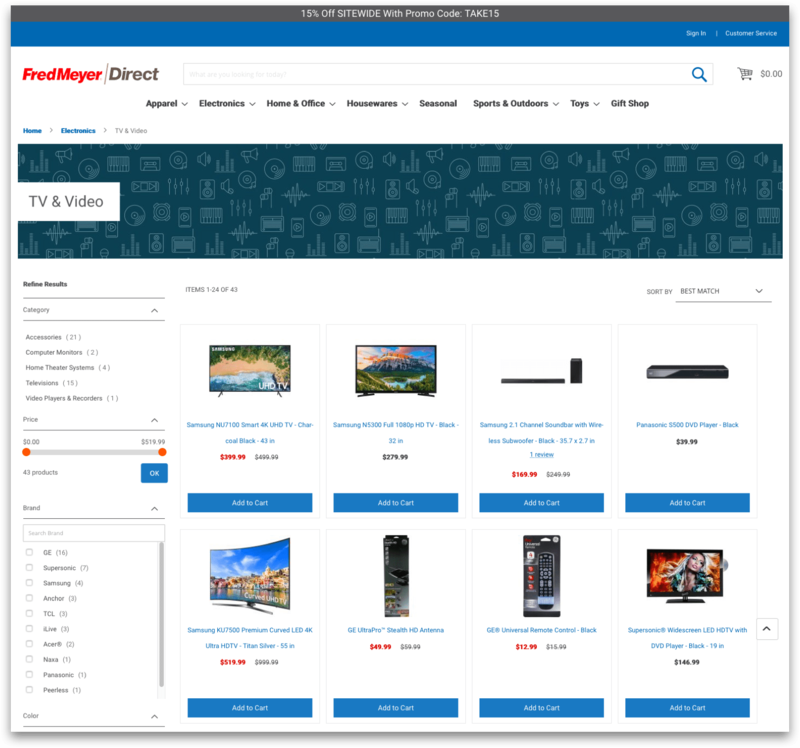 Helped regional supermarket chain Fred Meyer (a subsidiary of Kroger) launch an eCommerce brokerage platform for general merchandise home delivery. Generated UX wireframes and collaborated with remote UI team for header navigation, main taxonomy, and promotional PLP pages. Attended stakeholder meetings and consulted on marketing initiatives.